My God, is it really fifteen years since Hillary Clinton’s efforts to deliver universal healthcare for Americans were defeated in the US Congress? The same year Tony Blair became leader of the Labour Party? A lot has happened in both countries since. And as Barack Obama takes off where the wife of his predecessor but one left off, one of the things that has happened in this country is the steady improvement of the NHS under Labour. Remember annual winter crises? Remember waiting times that stretched into years not months? Remember Labour making promises on investment and waiting times which our critics said could never be delivered? Well, they have. Which all brings me back to one of my tired records which still needs playing into the ears of every Labour minister, MP, activist and supporter – we have to do a better job of defending the record. People talk a lot about trust in politics, and with a 24/7 media giving people reasons not to trust politics and politicians most of those 24 hours in most of those seven days, there is a tendency to overlook the other side of the story – promises made, progress delivered. It is why John Prescott is right to brandish his pledge cards as he goes around the place. It is why it is time people stopped just bowing down before the media agenda the whole time, meeting them half way on the notion that everything is terrible, when it is not, and started sticking to our own. Defending the record is not about boastfulness. It is a neccessary part of winning the argument about who is best placed to meet the challenges of the future. Gordon Brown set out three immediate challenges the other day at his post reshuffle press conference – cleaning up the expenses system, leading Britain through the recesssion, further reforming public services. Of course the longer you’ve been in power, the more you risk the question ‘so what have you been doing these past x years?’ The answer is a lot, and it needs to be spelled out. The expenses scandal should not deter us from talking about the good that Labour politicians do, nor from setting out the changes to our constitution already made … we are not starting from a blank page, and we should be careful not to throw out the baby – properly defended Parliamentary democracy – with the bathwater of moats and duckhouses.. The economic crisis is real and global, and GB and Alistair Darling have won a lot of respect for the decisions taken to stabilise the situation. But the decade long economic growth and prosperity that went before it cannot just be airbrushed out of history. This government has made a lot of choices, and a lot of them have been right. And on public services, again we are not starting from a blank page. In every part of the country, there are improvements that will simply be taken for granted and forgotten, unless we spell them out, alongside the plans and choices for the future. Meanwhile, good luck to Obama. He will need all his popularity and political nous, as the hugely funded health insurers, drug companies and newly energised Republicans go into battle to keep a healthcare system for the few and not the many. So while we are on about the record, the very existence of the NHS is part of Labour’s record, the struggle to make it happen a vital and bruising chapter in our history. That history speaks to the values that are central to the reconnection with the electorate that has to happen. Who do people really trust with the health service? That question has to be brought back centre stage. Ps … another result to report, this one from where I live in North London. We lost Gospel Oak to the Tories for the first time at the last local elections. In the Euros on Thursday, the Tories got 16 per cent of the vote, to Labour’s 32. No doubt you’ll brand me anti-NHS, but is it really an achievement to deliver on promises of investment (which is New Labour speak for Spending)? You spend nearly £100bn a year on the NHS. Great. The country can’t afford it though. It may have escaped your attention, as it does with every Labour blogger, but we’re spending £4 for every £3 we take in tax. That isn’t sustainable and is, in the long term, going to hurt the NHS and other public services. This year, even if you doubled the income tax take (a crippling level of tax), you’d STILL be running a deficit. That’s how much you are overspending. Why can’t Labour see that this cannot continue forever? You’re so blinded by how much of other people’s money you can spend that you haven’t bothered to check that we, the taxpayer, can afford it. The risk to the NHS of Planet Dave getting into power is his interest in hiving off some of healthcare to private sector providers. You don’t have to be a genius to figure out what this would mean. They could cherrypick the services they wished to tender for, based on profitability no doubt, and leave the NHS with less income to provide the rest – the difficult, complex, the A&E-on-a-Saturday-night type services which will be far too unattractive (and expensive) to a rival health service. This would be a disaster. Defending the record – especially to people who may not remember the wait for care being in years (not weeks) under the Tories and the chronic underfunding – is vital. So is not voting Tory. The problem with defending a record is that it’s difficult to compare it to what could have been. For example, many people denounced the money spent on preparing for the millennium bug because when the time arrived nothing happened. Many missed the point that it was because of the money spent that nothing happened! It’s easier to point to things that are broken than hypothesize that they could be. * 11th Nov 2008 – snaking queues of people outside the banks as Tory inactivity results in the collapse of our high street banks and the loss of savings of millions. * 14th June 2012 – the collapsing economy results in job losses and under the newly privatised NHS tens of thousands are unable to afford basic healthcare. Anyways, you get the idea. Think of the film ‘It’s A Wonderful Life’ or the Doctor Who episode ‘Turn Left’ and you get the idea. The problem is Labour is talking a language the public cannot relate to any more. Brown speaks of a ‘National Council for Democratic Renewal’, when the public want an election. Mandelson says the PM is brave to keep spending in a recession, when most people understand the need to cut back when borrwoing is headed towards £175bn. The expenses crisis has exposed a waste and indulgence in the public sector just as very many of us are going through financial troubles. Less money could encourage a future that is very much one Labour might welcome – with more self-reliant communities, voluntary work. But Labour isn’t articulating that – it appears trapped. Right on, Alastair! I agree on NHS being superior to whatever it is they have in the US (it’s not a system, it’s a breakdown in many respects). I have often posted here comparisons of the two and showed how NHS was amazing. So let’s tell people about the Labour policy and the stories behind it! Americans will never accept universal healthcare. It doesn’t matter how great an idea is, if it is perceived as a leftist idea, it will not fly. Fifteen years ago and now today, the American right has been spewing erroneous propaganda about public healthcare systems around the world. It’s too bad for those who suffer but if Americans aren’t willing to open up to leftist ideas but will instead embrace all the manure corporate America (in this case, insurance companies) will shovel at them, then they have the healthcare system they deserve. Every British citizen should be forced to watch Michael Moore’s “Sicko” — you know, that movie about those who actually HAVE health coverage in the US. I’d like to see Dave “Paris Hilton” Cameron defend further privatisation after that viewing session. And yes, Labour should be proud for taking care of the health of all British citizens, rich and poor. Whilst few would argue that the NHS is a wonderful institution, it would be much easier to find people who would say that it jolly well ought to be, considering the amount of our money that has been thrown at it. All this wonderfulness has to be paid for. Is it not a little presumptious of Mr Brown to spend our children’s children’s money in such a cavalier manner and for you, AC, to praise him for doing so? I admire your loyalty to the government AC and your deflections techniques would be considered genius if people who cannot see the whole picture accept the prism of your argument.The NHS is riddled with inequalities and can at times be hindered by bureaucracy and pen pushers. If you want the Government to build on its ahem successes then reforming the mental health services is good start. After all a recession can leads us all into the black hole of depression. I am interested in your thoughts on this AC. What do you propose extra funding or just another piece of prism from the kalaedoscope of spin and deflection? I’m sure those towns and cities that have experienced that ‘decade long economic growth and prosperity’ you speak of don’t include those Northern towns that turned towards the BNP last Thurs. In fact I know they didn’t get a sniff – I live here. The more you new labour types talk about prosperity and wealth, the more working class people feel a sense of resentment. Like I said yesterday, the rise of the BNP is contiguous with the age of New Labour. And for that reason. Did Tony Blare try to privatise parts of the NHS. The NHS was so good under the Blare regime that many a nan had to book a flight to France for a hip op. Now you gotta change post code for certain treatment. Ah happy days. What is NHS going to be like now the economy is broke? Iraq had one of the best health care systems in the world until the oily Blare and his monkey destroyed it. Ooops too much reality for the New Lalalabour. Sorry Alastair I’ll just ssshhhoo off and you can carry on with your jackanories. Jack and the Magical WMDs. Has anyone else noticed that the telegraph has stopped the headlines on the expenses “scandal” now that the election is over. Whe do I feel shafted? Mr. Campbell, it is all well and good for you to crow about how the NHS was originally brought to fruition by Labour, but I will respectfully point out sir, that it was the very Labour Party that you, Blair and Brown sought to demolish with your own ascent to power. The NHS was the brainchild of a Labour party that hasn’t existed for some time. Although I am Canadian and have not personally needed to use your health care system when I am in England, I certainly have seen it first hand, having accompanied my good friend to many appointments after a nearly fatal motorcycle accident. It has been two and a half YEARS and he still has not gotten the treatment necessary to live a fuller life. In fact, when last I checked, the specialist had yet to give him an appointment after 18 months. He has given up and now just suffers with his injuries, which make working anywhere near a decent job where he can support himself nearly impossible. According to a report on the BBC News at 10 the NHS is heading for some serious problems. Nigel Edwards claims a famine in the NHS is forthcoming. The NHS needs to undertake new managerial strategies if it is to survive. This is likely to take the form of drastic cuts in funding, investment leading to cuts in staff, technology and new drugs. Time to Pull the plug on New Labour it has gasped its last breath. I’ve read a few comments on here complaining about a free health service. Said for a few years now, there is no way I would be alive under a Tory regime. Well I might be, with a mountain of debt for me and my family; Dan Hannan would have me dead, about that there is no question..
Be where I’ve been, you appreciate the NHS. Id Obama can get universal health care for people in the US, I’d say that’s a good thing to do.. 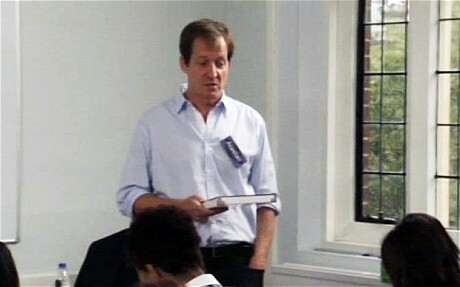 Caught in the no man’s land between being a key figure in Downing Street and the relative anonymity of the world outside politics, Alastair Campbell finds himself being torn in several directions as this latest volume of diaries opens. Having succeeded Tony Blair as Prime Minister, Gordon Brown wants Campbell at his side. Campbell resists, flooding his reservoir of guilt as a general election looms and Brown’s indecision and fluctuating moods suggest the Labour administration is seriously threatened by the Tory ‘posh boy’, David Cameron. Soon Campbell is earning not only praise but big money from motivational speaking and writing novels which darkly reflect the mood swings that continue to concern both him and his family. Serious journalism across platforms old and new puts him back in the public eye and together with live appearances and a love of sport – his enduring love affair with Burnley Football Club still smoulders – sees him board a celebrity merry-go-round that often leaves him far from his comfort zone. With politics constantly tugging his sleeve, he eventually returns to the front line to marshal a party in disarray. The intensity of the months leading up to 6 May 2010 is as dramatic as any screenplay, with Campbell chronicling Brown’s struggle to win over a disillusioned nation and then his dignified departure from the main stage. For Campbell, another chapter closes. So what next? Join the mailing list to stay in the loop. I promise not to spam you.